The Free Fun Fridays 2018 Schedule from The Highland Street Foundation is out for Summer 2018! If you are unfamiliar with Free Fun Fridays, every Friday from June 29, 2018 to August 31, 2018 anyone can get free admission to many different museums, attractions, and more throughout Massachusetts. And this year is the best year yet. 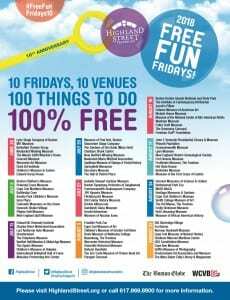 There are 100 venues participating this year, with 10 different activities to choose from on 10 Fridays this summer. This is 100% free for everyone, just simply show up. 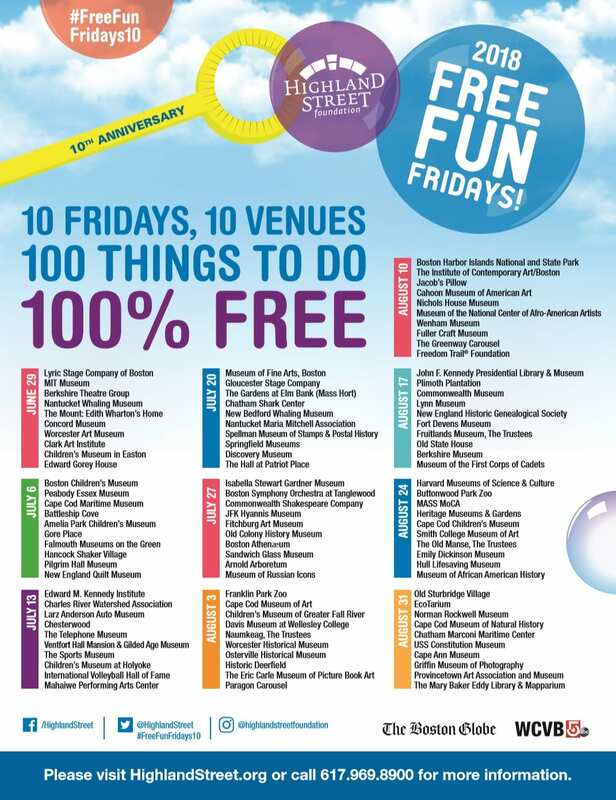 For more information about Highland Street Foundation’s Free Fun Fridays, please head here. What Free Fun Friday’s attraction are you looking forward to the most?